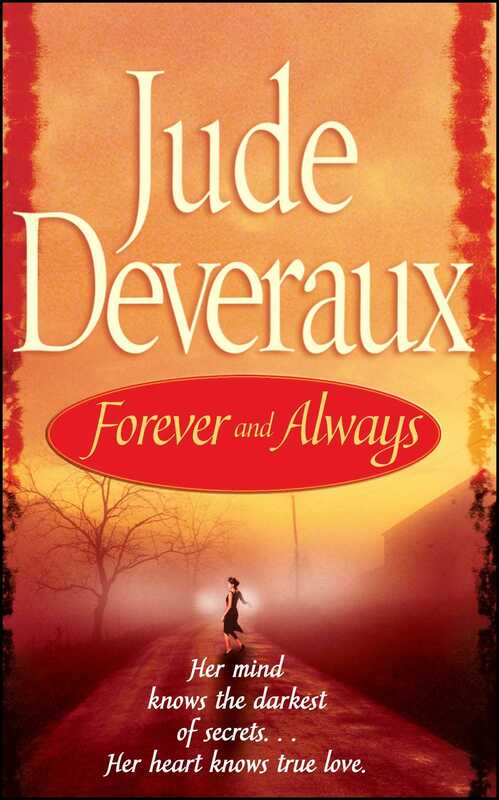 "This is Jude Deveraux at her most pleasurable," hailed Booklist in praise of her powerful bestseller Forever....Now Deveraux brings back her gifted heroine, Darci Monroe, in a riveting new novel of endless love and shadowed secrets. Darci's psychic abilities have always guided her through hardship...and into a once-in-a-lifetime love with her rich, powerful husband, Adam Montgomery. When Adam vanishes in a mysterious accident, a grief-stricken Darci is left alone to raise their young daughter. But her instinct tells her the reports of Adam's death are untrue. When the FBI enlists her intuitive talents to solve a heinous crime, she agrees -- if they'll help to uncover the truth about Adam. It may be a tougher deal than Darci imagined: she must go head-to-head with Jack Rose, a criminal whose mind power matches Darci's at every turn. Now Darci must discover if those in the highest circles of authority have her best interests at heart -- or if someone intends to sever the everlasting bond she shares with her one true love. He was lying. I didn't know how much or about what, but I was sure he was lying. Also, he was acting. More than that, he was playing the character he portrayed on TV, the shy, likable, brilliant detective, Paul Travis. The gorgeous-but-doesn't-know-it Paul Travis. He was dipping his head down and glancing up at me as though he expected me to swoon over the sheer beauty of him, but I wasn't even close. When you're married to a man like Adam Montgomery, other men don't compare. I sat down across from him and began concentrating to try to force him to stop acting and tell me the truth. This wasn't what I wanted to be doing but my mother had sent me a letter. It was the first letter I'd ever received from her so of course it had an impact on me. It said, "You owe me." Stuck in the letter was a photo of the actor, Lincoln Aimes. The letter puzzled me for days. Of course I knew what she meant: You owe me for saving your life, so pay me back. But what did she want me to do with the beautiful black actor? 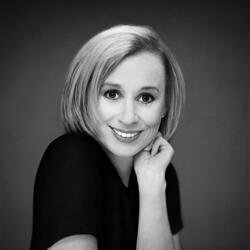 Was my mother asking me to do what I could to get the man to be her next lover? That didn't make sense because my mother certainly didn't need anyone's help in getting a man, even a man much younger than she was. After I received the letter and photo, I got on the Internet and ordered the DVDs of the first four seasons of Lincoln Aimes's TV show, Missing. The character Paul Travis didn't appear until the sixth show of the first season and then only in a small role, but he was such a hit that they asked him to become a leading character. At least that's what the brochure that came with the DVDs said. When I searched the Internet I read that the actor had had problems finding roles that cast him as anything other than a body and a face. Poor guy, I thought. We should all have such problems. It seemed that Lincoln Aimes wanted to play meaty parts. You know, something like a society outcast, the guy who was given bad parents and poverty, but manages to rise above that and become the first American president with no scandal attached to him. Instead, casting agents took one look at Lincoln Aimes's perfect face, his perfect body, and cast him...well, as a sort of dumb blond. With honey-colored skin. I read that Lincoln Aimes took a few roles, none of which he liked, then was out of work for a couple of years. I guess he got hungry because he finally accepted a small part on the hit detective series Missing, which each week looked for a missing person. After just one appearance, he became one of the three main characters. What made the role work was that, in a way, it made fun of Lincoln Aimes's exceptional beauty. When the cast was working on a case, the character of Paul Travis was all business. He unraveled clues, was great at sizing people up, and had a real knack for putting himself into the mind of a missing person. What he didn't know was that behind his back, everyone was talking about how gorgeous he was. It was a running joke throughout the show. The other characters constantly used him for such things as getting the angry woman in records to put their requests on the top of the pile. Paul Travis, or just Travis, as everyone called him, would hand the woman the request, speak to her in a businesslike way, then walk away. The camera would show her sighing and saying, "Yes, Travis," then immediately feeding the info into the computer. The next second she'd take the head off some ugly guy who complained that he'd been waiting for the same information for three days. The whole premise was hokey and bordered on the ridiculous, but it enlivened a show that was like too many others already on TV. It was fun to see witnesses do double takes when they saw Travis. And it was fun to tune in each week to see what the writers came up with to show off Lincoln Aimes's beauty. Yes, it was a good show, and I, like most of America, watched it regularly. Of course no one believed a person could be so good-looking and not know it, but it was a nice thought. It made the viewer smile when Travis said in wonder, "That man offered me a job as a male stripper. Weird, huh?" We viewers chuckled with the characters in the show. And each week we tuned in to see if maybe they were going to tell us something about Travis's personal life -- but they never did. We saw other characters' wives, husbands, apartments, kids. But never anything at all about Travis's personal life. If it didn't happen to him at work, it was never shown. So now the actor who played Paul Travis was sitting in my living room, looking at me shyly, as though he thought I'd believe he was who he played. But he was lying to me. I stared at him hard and concentrated, and was soon rewarded with seeing him raise his head and look at me straight-on, with no head-ducking. "Your mother said you could help me find my son." He had to take a deep breath to get the words to come out, and I could feel that he was very nervous. About what? I wondered. As for the child, I wondered about that. From what I knew of the actor, he wasn't married, never had been, and had no kids. Of course he had a girlfriend: Alanna Talbert, the darling of the screen, "the woman most men wanted to have an affair with," as some poll said. She was tall, thin, had cheekbones that could cut glass, and was as perfect physically as Lincoln Aimes was. She, too, was African-American. "I didn't know you had a son," I said as I stalled for time. I wanted to know how much my mother had told him about me. "Neither did I," he said, then gave me another look in the character of Paul Travis. "You want to cut that out and tell me what it is you want?" I snapped at him. He blinked at me a few times and I could feel his consternation. Obviously, he wasn't used to being spoken to like that by a heterosexual woman. The truth was, I have certain, well, abilities that make me able to see...I hate to say that I can see "inside" a person, but I guess that's what happens. I can't read minds but I do have very, very strong intuition. And right now my intuition said that this man thought he could talk me into doing anything he wanted. Maybe if I gave him an itty-bitty bit of a headache he'd stop posing, I thought. Maybe he'd tell me what he wanted, I could say no, then he'd go away. I wanted to get back to doing what I did every day, which was lie on the couch in my bedroom and concentrate on my missing husband. "I -- " he began, then stopped as he got up to walk around the living room. It was a pretty room, done in peaches, yellows, and blues. Until a year ago, it was the happiest room on earth. He looked back at me and I could feel that he'd released some of the hostility I'd sensed when I first met him, but I could still tell he thought I was someone not quite trustworthy. I couldn't very well hold that against him, could I? Not after what that...that man had written about me. The whole world called me the Hillbilly Honey. I was the laughingstock of America. Until my husband and his sister disappeared, that is. Then I became the most hated person in America. People believed I'd murdered my husband to collect his inherited money. I told everyone, the police, the reporters, all of them, that I knew in my heart that my husband and sister-in-law were still alive, but no one listened to me. So now here I was, alone, hiding from the world, and this man was asking me to help him find his son. And I knew that he was either lying or hiding something big. Copyright &copy; 2003 by Deveraux, Inc.